Our first good look at the stars of the next Star Trek show is here, and there’s not a Starfleet uniform in sight. 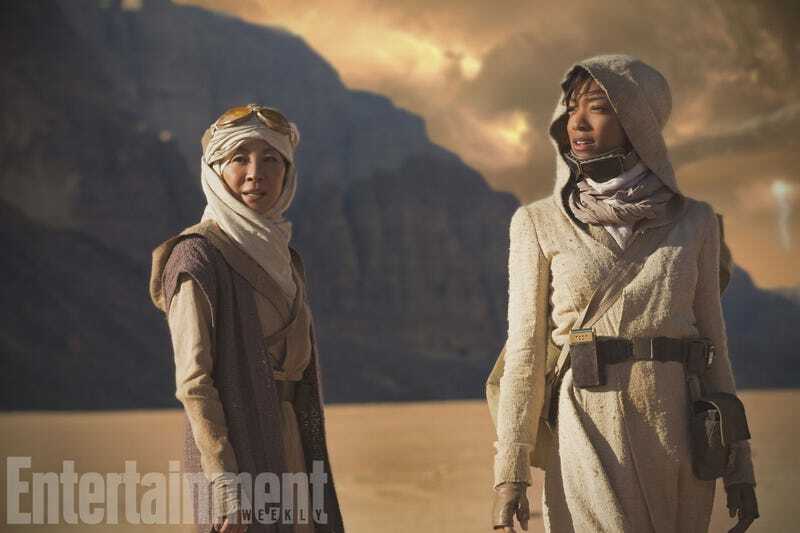 But there is a mysterious planet, and a peek at the show’s two leading ladies—Michelle Yeoh and Sonequa Martin-Green—in action. Debuted by Entertainment Weekly this morning, the picture seems strangely un-Trek-y. Without the familiar uniforms (our heroes instead sporting desert gear that almost looks like Star Wars cosplay) and set on a strange alien world instead of the U.S.S. 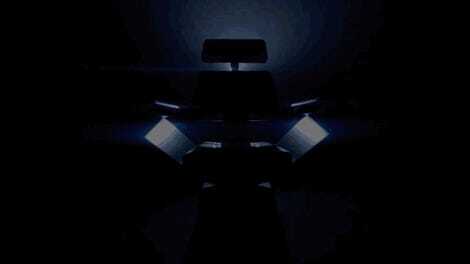 Discovery’s bridge, the image is quite unlike what we would’ve expected from our first look at Discovery. But if you look close enough, there are a few hints of classic Star Trek to be found. Martin-Green’s character, First Officer Michael Burnham, has what looks like an old-school communicator similar to those from the original Star Trek on her belt, as well as a satchel that looks like it’s holding one of the classic Tricorders from the original series. And it’s interesting to note that she’s on a mission with Yeoh’s character, Captain Philippa Georgiou, who is believed to be the captain of another Starfleet vessel, the Shenzou, and not the Discovery, which will be commanded by Jason Isaacs’ Captain Lorca. This could be a hint of the show building itself around more than just a single ship this time around... along with all the other hints of just how different a Star Trek show Discovery is going to be. Star Trek: Discovery is expected to air on CBS All Access later this year.